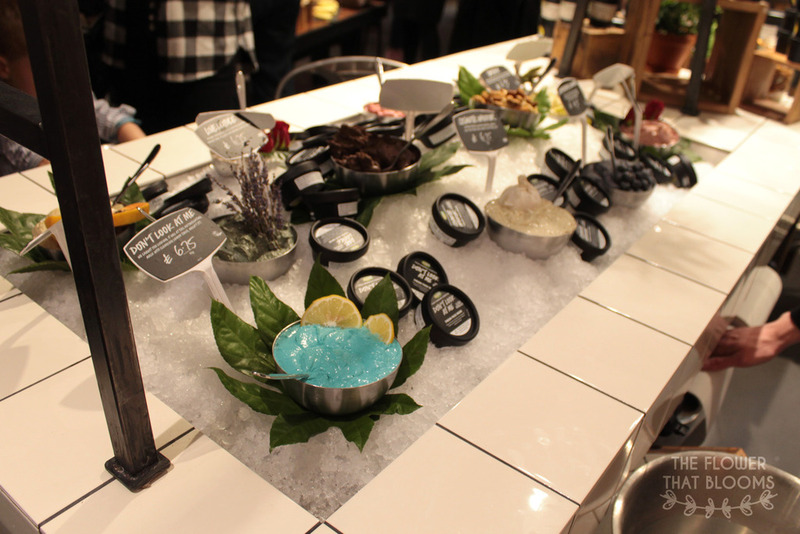 For a little while our local Lush store had a huge secret which had everyone (including us) guessing. When it was finally announced that they were moving to a bigger store we were unbelievably excited! We couldn’t wait to see what it would look like and how much bigger it would actually be. The store had a VIP opening event last Thursday to celebrate and we were lucky enough to be invited to come along! 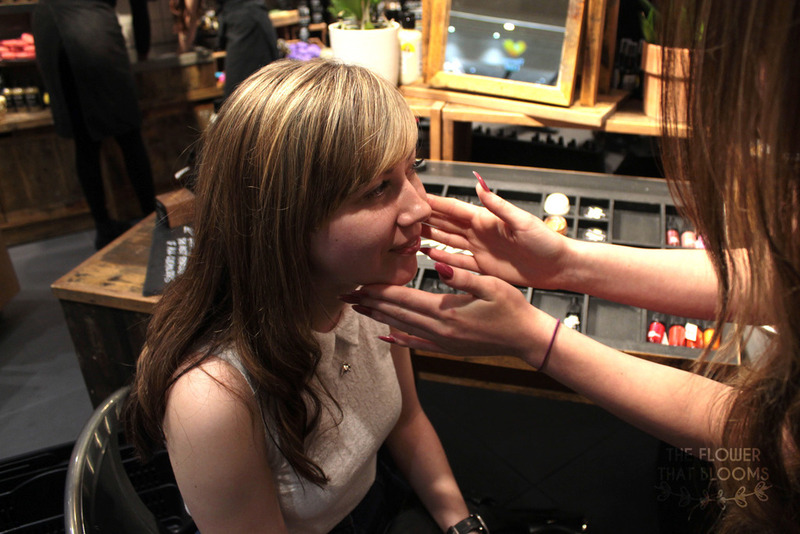 The night consisted of demos and chatting, Lauren was even lucky enough to have her make-up done by one of the members of staff! 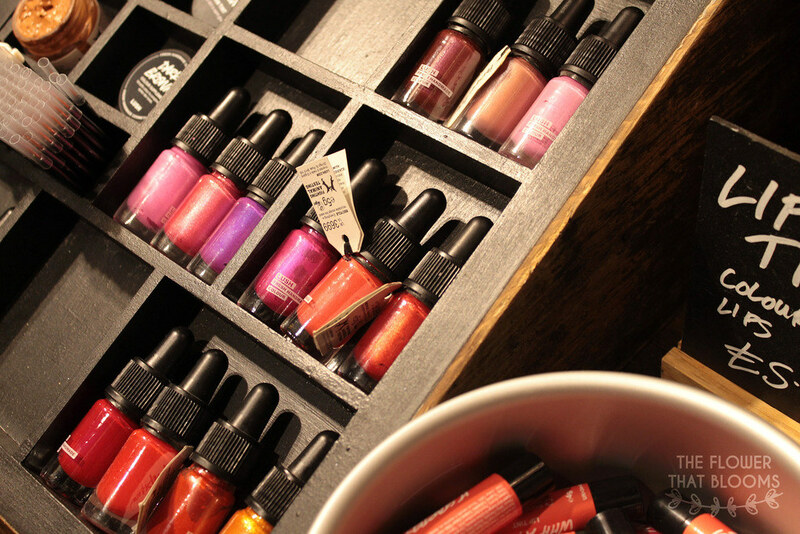 It was great to be able to find out about products we’d never tried before such as colour supplements and skin tints. Considering neither of us wear a lot of make up it was great to see what options we had if we wanted to try out some of Lush’s range. The products that were used on Lauren’s skin looked really natural and it was obvious the member of staff was really passionate about each item. We’re gutted that we don’t remember her name as she was really friendly, enthusiastic and great to talk to! Some of the products we remember her using were ‘Feeling Younger’ (a skin tint which can be used as a highlighter) as well as ‘Jackie Oats’ (foundation) and ‘Light Pink’ (colour supplement). Next we moved on to the skin care section which was set out exactly like the Oxford Street store! Finally the face masks now have their own little section meaning you can easily have a look at them. In the old store we’d try and pick a face mask up to smell it and we’d ruin the display, looks like this will no longer be an issue! 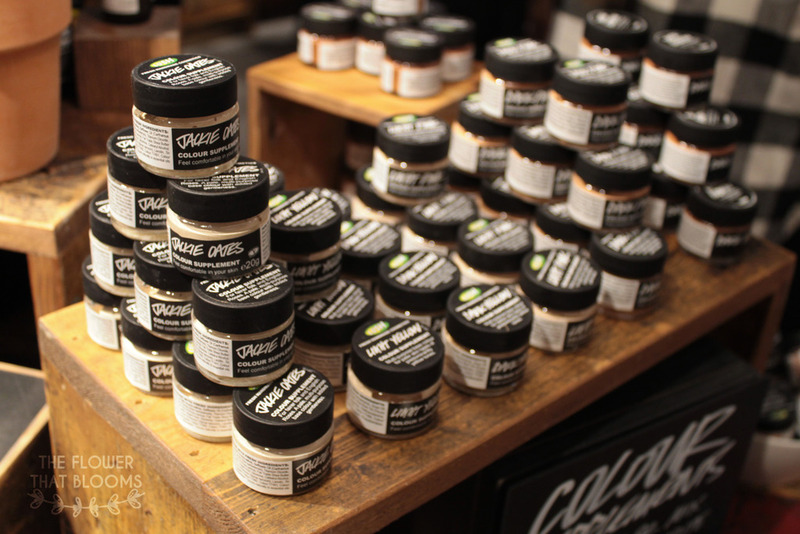 We were lucky enough to talk to James who helped us find products suited to our skin types. It was amazing how great James’ knowledge is and we now have a better understanding of what we should be using for our different skin types. He showed us a selection of cleansers, fresh face masks and toner waters. As Lauren has combination skin James suggested Angels on Bare Skin fresh cleanser and Love Lettuce face mask. 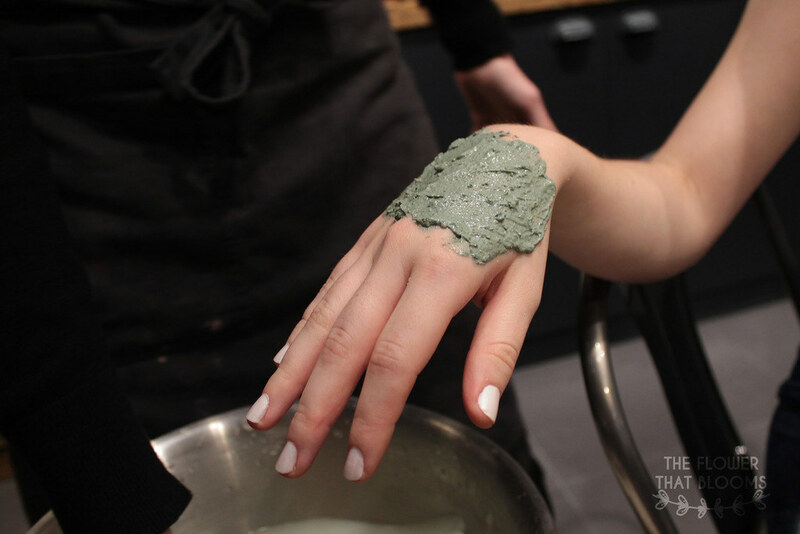 Since Rachel’s skin is more oily, he showed us the Herbalism fresh cleanser and the Brazened Honey fresh face mask (pictured below). This experience has really helped us and we now know what products we need to use in order to see benefits. Of course we’ll still use products that we like for their scent but it has opened our eyes a little more. Now we know not to just buy items because they look or smell nice! After chatting to James we decided to take a look at the rest of the store. We couldn’t believe how much room there was as the old store was a little cramped. 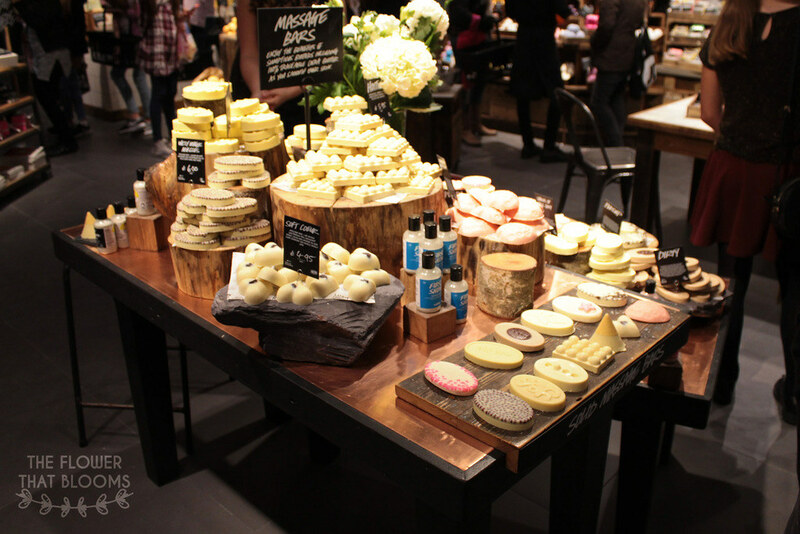 Everything now has it’s own little section and look how cute the area for massage bars is, it’s just like a mini Lush Oxford Street! 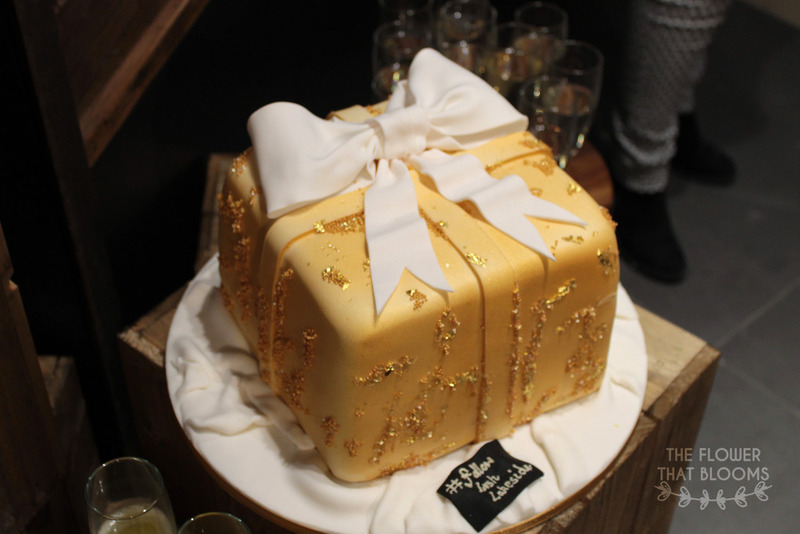 To make the opening event even better, there was a cake made to look like the Golden Wonder bath bomb! Inside was normal sponge, blue sponge and little golden pieces. Unfortunately we didn’t manage to get a slice but we thought it looked amazing and was a great touch. 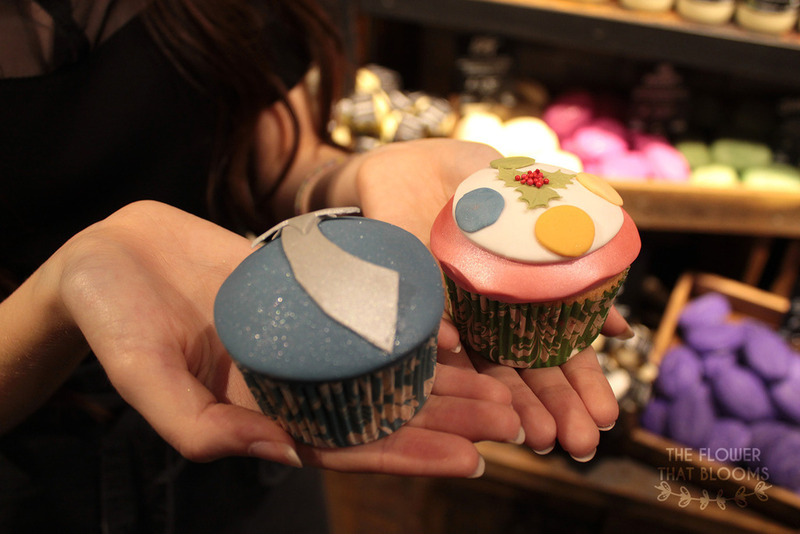 There was also a little selection of handmade cupcakes that were decorate to look like Lush Christmas bath bombs! We were allowed to choose one each to take home and Lauren went for Shoot for the Stars and Rachel chose Luxury Lush Pud! They were delicious and whoever made them is extremely talented, the details were just like the real thing! Overall we had such a fun time learning new things about the products, chatting to the friendly staff and buying even more new items. 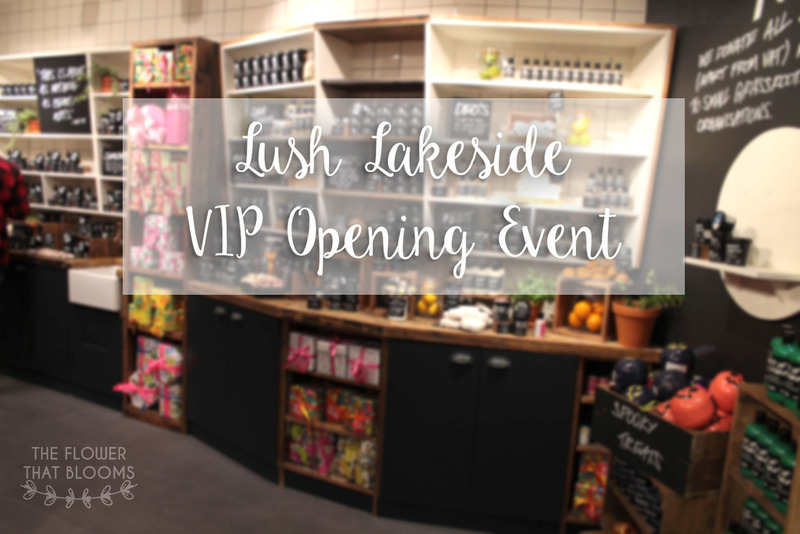 Thanks again to Lush Lakeside for inviting us, we hope you’re enjoying your new store and no doubt you’ll be seeing us again real soon! « Our First Ever Lush Kitchen Order! Ahhh what a fab post and look at all that goodness!!! I can’t get over it, I literally had to go back and take a second look and re-read some stuff. What an amazing event, girlie!